If Senator Ben Sasse is right — he has not recently been wrong about anything important — the nation’s most-discussed political problem is entangled with the least-understood public-health problem. The political problem is furious partisanship. The public-health problem is loneliness. Sasse’s new book argues that Americans are richer, more informed and “connected” than ever — and unhappier, more isolated and less fulfilled. In Them: Why We Hate Each Other — and How to Heal, Sasse’s subject is “the evaporation of social capital” — the satisfactions of work and community. This reflects a perverse phenomenon: What has come to count as connectedness is displacing the real thing. And matters might quickly become dramatically worse. Symptoms large and small are everywhere. Time was, Sasse notes, Americans “stocked their imaginations with the same things”: In the 1950s, frequently 70 percent of television sets in use tuned in to I Love Lucy. Today, when 93 percent of Americans have access to more than 500 channels, the most-watched cable-news program, Hannity has about 1 percent of the U.S. population. In the last quarter of the 20th century, the average number of times Americans entertained at home declined almost 50 percent. Americans are hyperconnected but disconnected, with “fewer non-virtual friends than at any point in decades.” With the median American checking (according to a Pew survey) a smartphone every 4.3 minutes, and with nearly 40 percent of those 18 to 29 online almost every waking minute, we are “addicted to distraction” and “parched for genuine community.” Social media, those “tendrils of resentment” that Sasse calls accelerants for political anger, create a nuance-free “outrage loop” for “professional rage-peddlers.” And for people for whom enemies have the psychic value of giving life coherence. 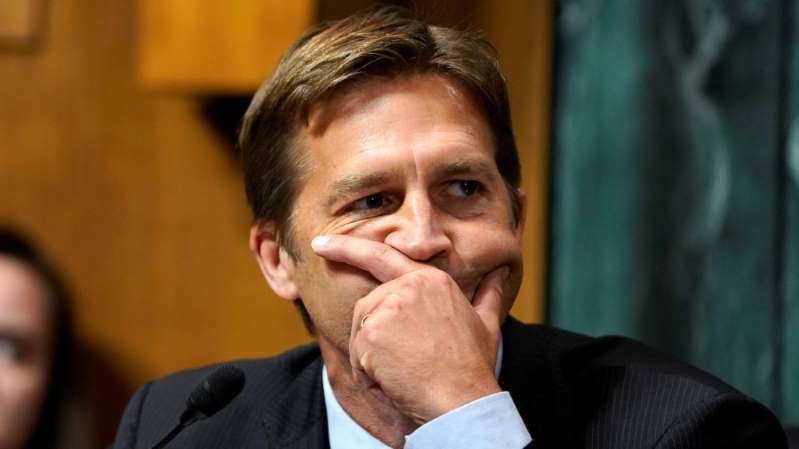 Work, which Sasse calls “arguably the most fundamental anchor of human identity,” is at the beginning of “a staggering level of cultural disruption” swifter and more radical than even America’s transformation from a rural and agricultural to an urban and industrial nation. At that time, one response to social disruption was alcoholism, which begat Prohibition. Today, one reason the average American life span has declined for three consecutive years is that many more are dying of drug overdoses — one of the “diseases of despair” — annually than died during the entire Vietnam War. People “need to be needed,” but McKinsey & Co. analysts calculate that, globally, 50 percent of paid activities — jobs — could be automated by currently demonstrated technologies. America’s largest job category is “driver” and, with self-driving vehicles coming, two-thirds of such jobs could disappear in a decade. This future of accelerating flux exhilarates the educated and socially nimble. It frightens those who, their work identities erased and their communities atomized, are tempted not by what Sasse calls “healthy local tribes” but by political tribalism of grievances, or by chemical oblivion, or both. In today’s bifurcated nation, 2016 was the tenth consecutive year when 40 percent of American children were born outside of marriage, America has “two almost entirely different cultures,” exemplified by this: Under 10 percent of births to college-educated women are outside of marriage compared to almost 70 percent of births to women with high-school diplomas or less. Repairing America’s physical infrastructure, although expensive, is conceptually simple, involving steel and concrete. The crumbling of America’s social infrastructure presents a daunting challenge: We do not know how to develop what Sasse wants, “new habits of mind and heart . . . new practices of neighborliness.” We do know that more government, which means more saturation of society with politics, is not a sufficient answer. Sasse, a fifth-generation Nebraskan who dedicates his book to the Kiwanis and Rotary clubs and other little platoons of Fremont, Neb., (population 26,000), wants to rekindle the “hometown-gym-on-a-Friday-night feeling.” But Americans can’t go home again to Fremont.